Some of those who walk among us are not necessarily what we think. Skepticism surrounds whether or not people can possess otherworldly powers, but the real question is, what would we do if we knew that they did? 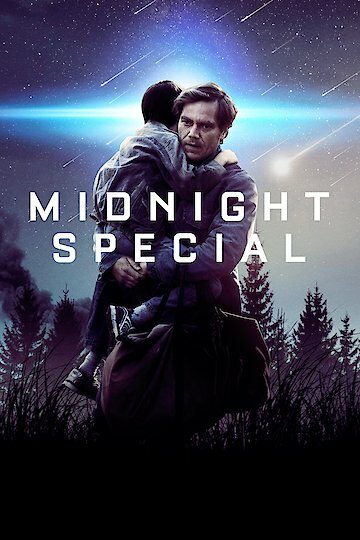 Midnight Special is a 2016 science fiction drama which largely focuses on a man, his out-of-this-world son, and that big brother is, in fact, watching. The result of his son being recognized for his abilities, his father Roy and him flee their religious cult in Texas. Accompanied by a life-long friend, the two attempt to beat the clock in order to arrive at a specialized location before a specific celestial event is due to take place. This event is said to be world-changing, and eight-year-old Alton is somehow affiliated. The amber alert is issued as the FBI rushes to find the boy. Traveling under the cover of night, the three fugitives have no idea that the government is interviewing the religious cult. Offering the FBI more insight on just what Alton can do, they are getting closer to finding the boy. They know his schedule, where he might be heading, and what it is the boy can do. Midnight Special is currently available to watch and stream, buy on demand at Amazon, Vudu, Google Play, FandangoNow, iTunes, YouTube VOD online.